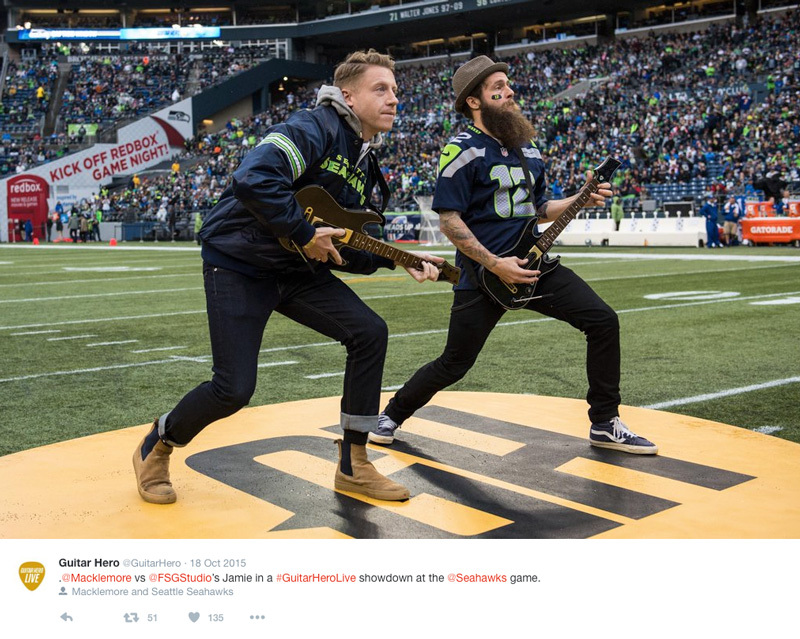 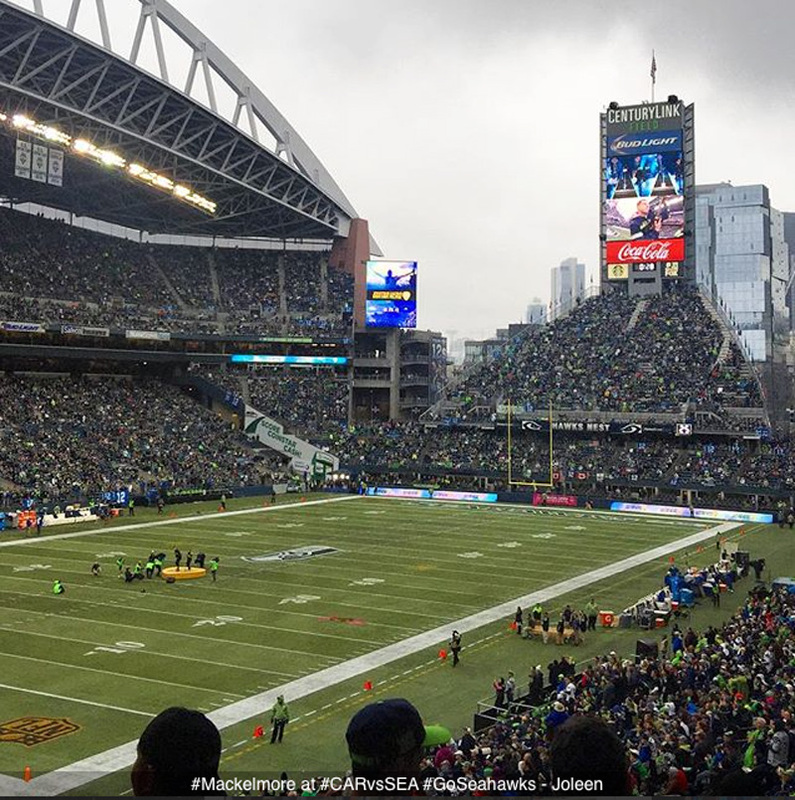 WOW: Guitar Hero Live joined forces with the Seattle Seahawks for a series of launch events culminating with an epic head to head competition with Macklemore at Seahawks halftime show on the field! 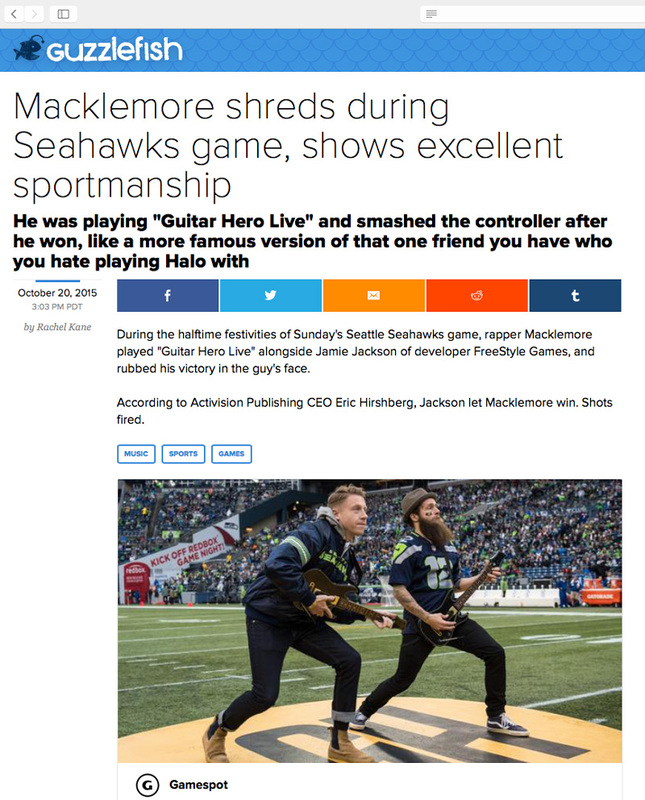 In celebration of the re-launch of the Guitar Hero franchise, Activision partnered with the Seattle Seahawks to promote the release of Guitar Hero Live. 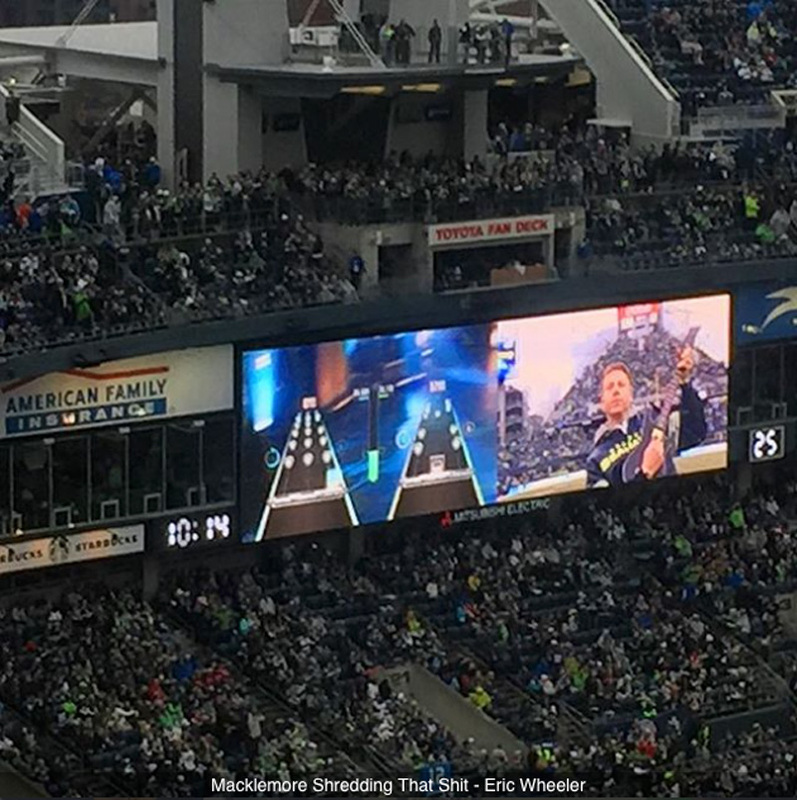 Guitar Hero took over a footprint in the high-traffic Touchdown City at CenturyLink Field in September and October at home games. 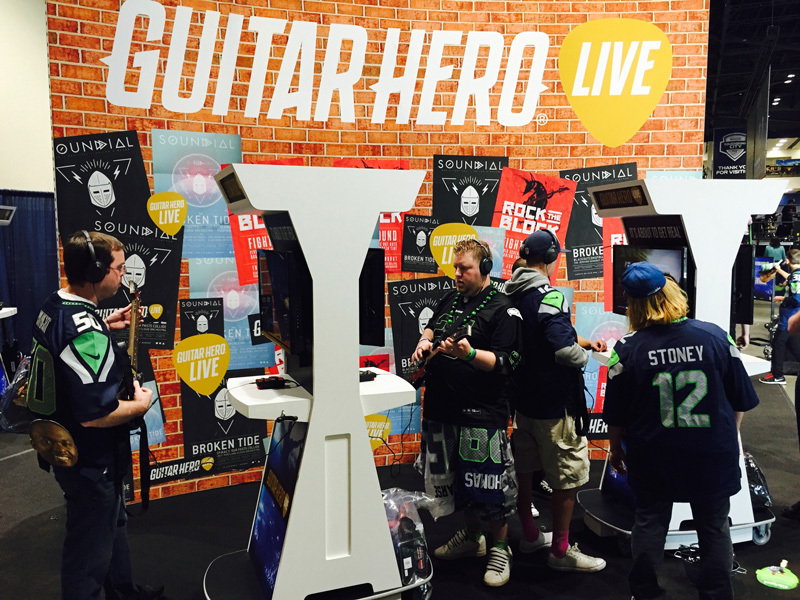 Fans had an opportunity to be among the first to get their hands on the new title on custom designed gaming kiosks, and to capture their rock star moment with a branded “rock star” photo op. 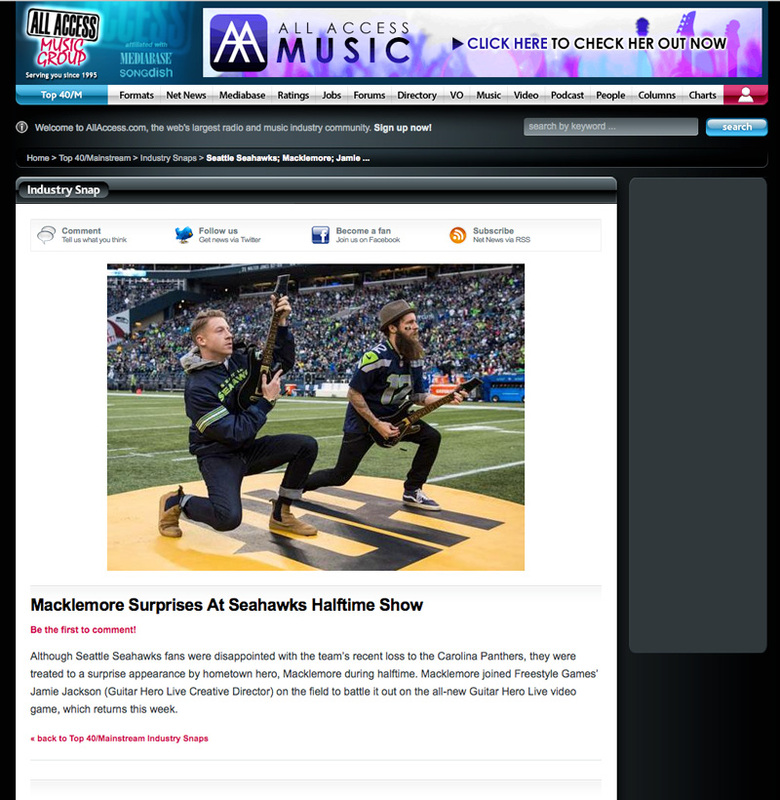 A lucky fan went head to head in an epic Guitar Hero battle with Macklemore during the Seahawks halftime show! 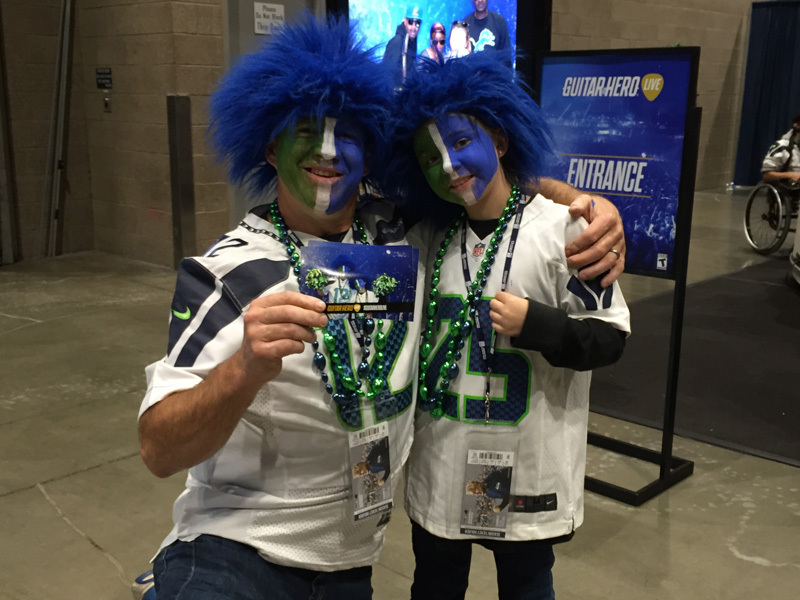 Father and son sharing their photo taken at the Guitar Hero Live photo booth! 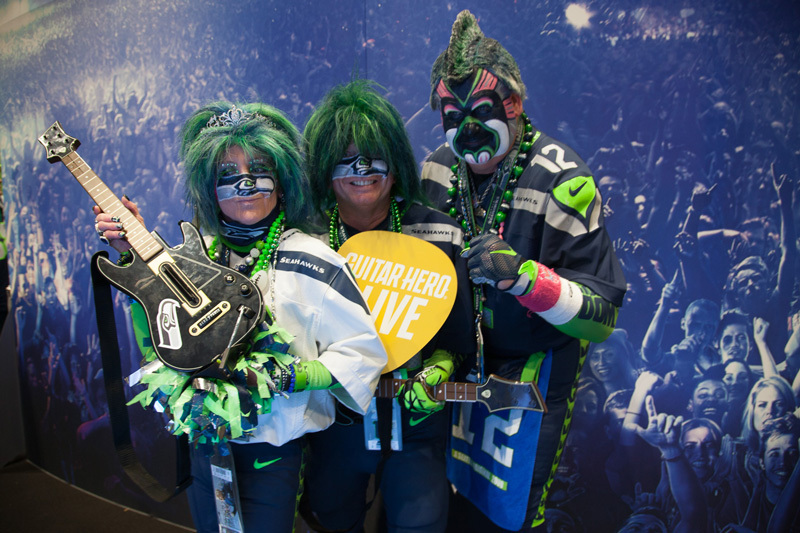 Fans posing with their Guitar Hero Live props, ready for their photo op!